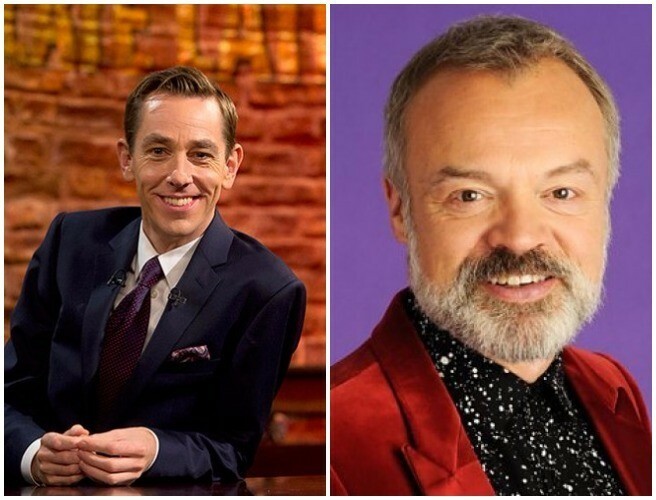 Barry Keoghan and Kodaline join style guru Trinny Woodall on tonight's Late Late Show. Love/Hate, Dunkirk and The Killing of a Sacred Deer actor Keoghan will be chatting about his new film American Animals and making it from inner city Dublin to the Hollywood hills. Trinny Woodall will be filling viewers in on how she made a career in fashion as a designer, television presenter and author. Ryan will be catching up with Kodaline and they’ll be performing their latest single. He'll also be chatting to the man behind the epic new nature series Ireland’s Deep Atlantic, Ken O’Sullivan. Laura Brennan, a 25-year-old Clare woman who has been diagnosed with terminal cervical cancer, will share her story and tell viewers why she strongly believes that young girls should be vaccinated against the HPV virus, one of the chief causes of cervical cancer. And viewers will hear about the unlikely friendship struck up between retired District Court judge Gillian Hussey and reformed former criminal Paul Mahon after they met through rehabilitation organisation Tiglin. Plus music from Supertonic Sound Club. Graham will be joined by Dwayne 'The Rock' Johnson and Oscar-nominated star of Moonlight and James Bond Naomie Harris, starring together in monster movie Rampage. Sherlock and The Hobbit star Martin Freeman will be chatting about his new horror anthology Ghost Stories. Roger Daltrey is tonight's musical guest. He'll perform his new single As Long as I Have You.